What Is a Functional Cure for HIV? When most people talk about a cure for HIV, they are generally imagining a particular type of drug. They imagine a cure that would remove all virus from the body—an eradication cure. However, many doctors who are looking for an HIV cure are actually looking for a different kind of cure. A functional cure for HIV would not necessarily involve eradicating all virus from the body. Instead, the goal of a functional cure would be to get rid of all HIV from the blood and remove any negative effects. In other words, people who had been functionally cured would never develop AIDS or other signs of HIV disease, such as premature aging. The biggest difference between an eradication cure and a functional cure is a practical one. When looking for a functional cure, scientists don't have to worry about whether they've successfully cleaned out out the viral reservoir. (The viral reservoir is what scientists call copies of the virus which are hiding quietly in different areas of the body. This hidden virus is unable to be fought or treated until and unless something causes it to be activated and begin to reproduce.) Instead, to test someone for a functional cure, doctors just have to make certain that levels of the virus in their blood remain undetectable. They also must make certain that their immune system functions as well as it would have if they hadn't been infected with HIV. To some extent, this can be accomplished now—with lifelong use of combined antiretroviral therapy (cART). However, the general expectation is that a true functional cure would be able to achieve these goals without patients needing to remain on cART indefinitely. Although the drugs used for cART have enormously improved the lives of individuals with HIV, they can also have significant side effects. Therefore, the ideal functional cure would get HIV infected patients to the point where drugs were no longer needed to keep their infections under control. 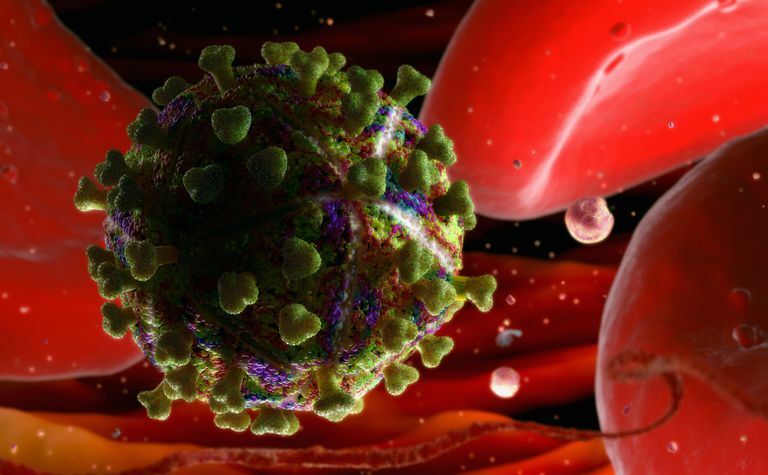 A functional HIV cure may be possible. News of such a cure started to bubble forth during the summer of 2012, when there were two separate lines of research that demonstrated that HIV could be brought under control in certain groups of patients. The first set of studies, which received the most publicity, involve the Berlin Patient. The Berlin Patient is a man whose HIV infection seemed to be eradicated after he was given a bone marrow transplant from a CCR5 negative donor. Research presented at the 19th International AIDS Conference identified two other bone marrow recipients whose HIV infections also appeared to have been brought under control by the transplant. However, this type of therapy would never be an option for most people with HIV. It's simply too dangerous. It will probably only ever be used for HIV infected patients who need a bone marrow transplant for other reasons. Far more exciting is the fact that several groups of scientists have had success treating people very soon after they were infected with HIV. It seems as though early treatment may be able to prevent the development of large viral reservoirs. Early treatment like this seems to knock viral load down low enough that the patients' immune systems can control any residual infection without continued use of antiretroviral drugs. Results are still preliminary. However, this is the sort of functional cure that could, in theory, be implemented on a broad scale. That said, it would only be truly useful if HIV testing coverage was greatly improved. Unless infections are caught early, they can't be treated early. Right now, far too many people are infected for years before they learn they are HIV positive. Allers K, Hütter G, Hofmann J, Loddenkemper C, Rieger K, Thiel E, Schneider T. (2011) "Evidence for the cure of HIV infection by CCR5Δ32/Δ32 stem cell transplantation." Blood. 117(10):2791-9. Henrich TJ, Hu Z, Li JZ, Sciaranghella G, Busch MP, Keating SM, Gallien S, Lin NH, Giguel FF, Lavoie L, Ho VT, Armand P, Soiffer RJ, Sagar M, Lacasce AS, Kuritzkes DR. Long-term reduction in peripheral blood HIV type 1 reservoirs following reduced-intensity conditioning allogeneic stem cell transplantation. J Infect Dis. 2013 Jun 1;207(11):1694-702. doi: 10.1093/infdis/jit086. Poveda E, Crespo M. When is Early Antiretroviral Therapy Early Enough for HIV Remission? AIDS Rev. 2017 Apr - Jun;19(2):113-114. Sáez-Cirión A, Bacchus C, Hocqueloux L, Avettand-Fenoel V, Girault I, Lecuroux C, Potard V, Versmisse P, Melard A, Prazuck T, Descours B, Guergnon J, Viard JP, Boufassa F, Lambotte O, Goujard C, Meyer L, Costagliola D, Venet A, Pancino G, Autran B, Rouzioux C; ANRS VISCONTI Study Group. Post-treatment HIV-1 controllers with a long-term virological remission after the interruption of early initiated antiretroviral therapy ANRS VISCONTI Study. PLoS Pathog. 2013 Mar;9(3):e1003211. doi: 10.1371/journal.ppat.1003211.